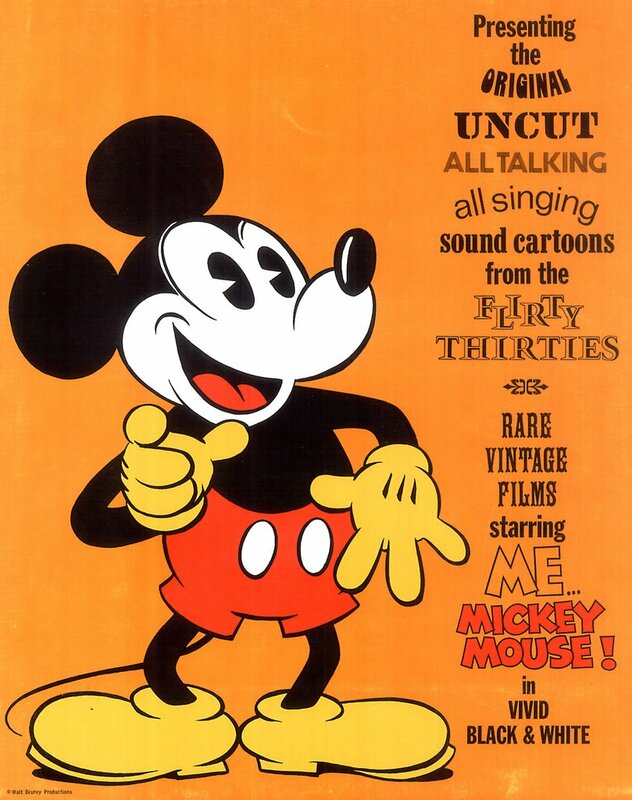 Anybody remember Disney’s 1974 re-issue of six Mickey Mouse black-and-white cartoons from the early thirties? Actually, there were seven --- The Klondike Kid had been the test run for the group and must have been well-received, because these went out with new one-sheets and a distinctly modern ad campaign designed to cash in on the nostalgia craze of the seventies. Note the reference to gaudy black-and-white, Today’s Super Star, etc. The posters are quite collectable today as they were printed from the original plates used for the initial release of the shorts, only this time the art was black-and-white. Disney rentals weren’t cheap, which may explain why we scarcely saw these cartoons around my parts. 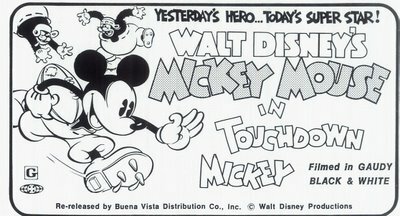 A look back at the older figures shows what Disney originally had in the Mickey subjects. The 1932-33 season of 18 cartoons had a total cost of $359,614, with an average cost per cartoon of $19,978. Total domestic rentals were $768,555, and the average per short was $42,698, so they were certainly profitable (add to that foreign rentals of $745,527 and you end up with worldwide rentals of $1.5 million for the season). 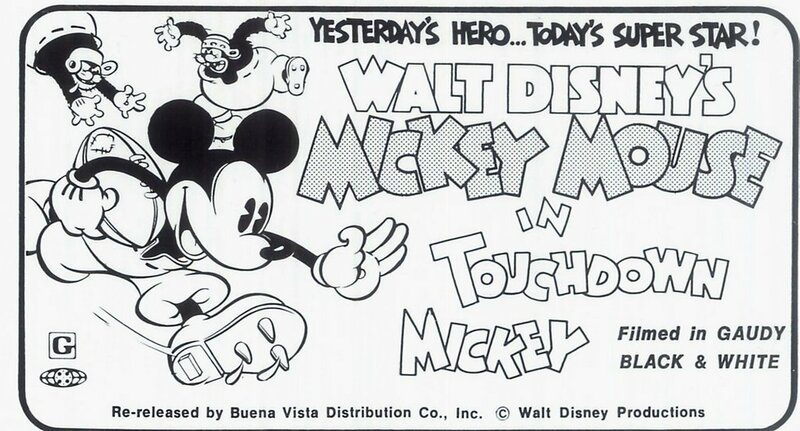 There were 138,813 domestic bookings for the Mickeys that year, with each film getting an average 7,712 engagements. $5.54 was the average amount paid by exhibitors for a Mickey Mouse during 1932-33. To take one specific example, The Whoopee Party had a negative cost of $14,952, with domestic rentals of $43,495, foreign at $40,137, for total worldwide rentals of $83,633. Stout numbers for a depression era cartoon series. Wow, I was seeing anything like that that came along (to Wichita, KS) then and no Mickey came our way, though of course Bugs Bunny Superstar and such things did. Disney must have wanted too pretty a penny-- they shot themselves in the foot, I think, by putting Mickey's shorts up on a pedestal from which they rarely came down. Mickey Who? Let's watch Bugs and Daffy! I see the ads displayed G ratings for "Building a Building" and "Touchdown Mickey," but neither of those films is shown on the MPAA web site as ever having been submitted for rating.